I love celebrating Valentine's Day every year and every year this time I always see many beautiful Champaign Bottles which says Rose flavor. In my family no one drinks Alcohol and in non-alcoholic options we are either left with Strawberry Shakes or Strawberry Lemonades for V-Day. I believe that non-alcoholic people also have so many varieties and they can also enjoy beautiful glass of drinks. That is the reason I love making Mocktails at home. 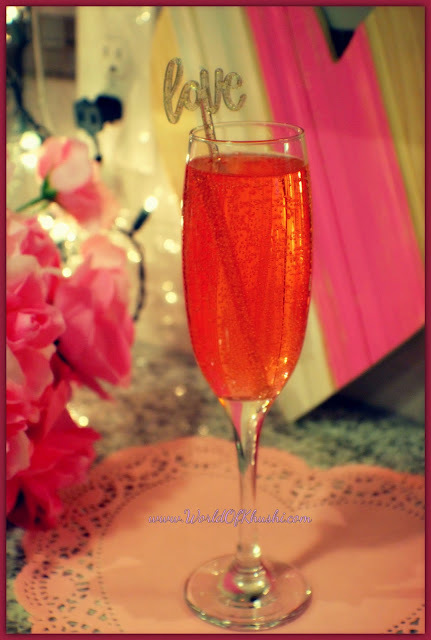 In today's post I am sharing very-very special Drink which I invented for Valentine's Day. I named it Rosie Amor as it contain Rose Syrup and Amor means Love in Spanish. 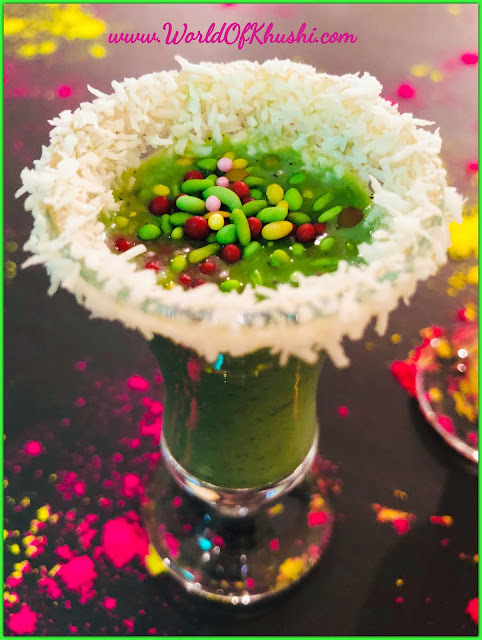 This Drink looks very attractive in person as below pictures doesn't justify the look but trust me when you make this Drink your will definitely fall in love with this. And of-course it tastes delicious; Soda with a hint of Rose, very different taste!! Please share your feedback with us as I am really excited for this Drink. Let's see how to make it!!! Step 1. In a Glass; add Soda, Rose Syrup and Lemon Juice. Step 2. Mix it very well until Rose Syrup get dissolved. Step 3. Carefully add Pinch of Rock Salt. It gets froth so take deep Glass or Bowl to make this Drink otherwise it will spread out everywhere. Step 4. Give this Drink a good Stir again. Your delicious Rosie Amor Drink is ready! Serve chilled!! 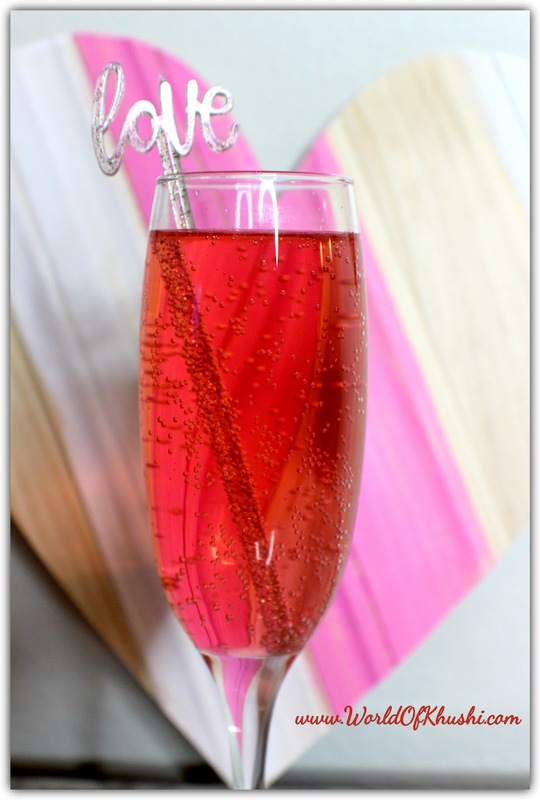 Impress your loved ones with this attractive Drink!! I hope you like this Recipe and don't forget to share your feedback with us. For more such easy Recipes stay tuned with Khushi's World. Please share some love and support by liking and sharing our Posts!! I really like your article. It is concise and accurate. Great to cook just so.